Home • Pet Blog • Pet 411: How Do I Help My Overweight Dog Shed Pounds? Obesity is the most common problem facing pets in the United States today. 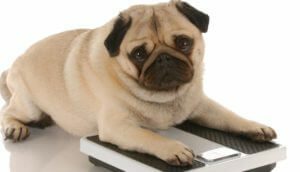 Did you know that more than 50 percent of all dogs and cats in this country are obese? That’s why my heart really went out to Louise Eversman from Kansas City, who wrote to me because her sweet 5-year-old bichon/poodle mix is about five pounds overweight. She feeds her dog ¼ cup of high quality kibble and a tablespoon of chopped chicken twice a day. Snacks are restricted to four small carrot slices or a couple of small pieces of meat from when the family is eating dinner. To make matters worse, the pup won’t walk on a leash for more than a few feet before planting his paws and refusing to move, which limits their exercise options. And, according to Louise, he could win an Academy Award for playing a starving orphan. How can they help him lose weight without making him feel deprived? Believe me, I know how hard it is to resist those puppy dog eyes. But helping your pet lose weight is ultimately one of the best things you can do to prolong his life and to improve the quality of those years. Just like in people, obesity in pets can lead to a host of problems, including diabetes, heart disease and joint disease or arthritis. The first step is a frank conversation with your family veterinarian. The vet can order blood tests to determine whether your dog’s inability to lose weight is due to a thyroid issue or another medical problem. 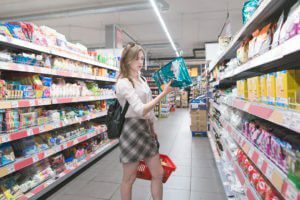 It would also be best to have a discussion about switching over to a low calorie diet. You can also look for ways to incorporate exercise into feeding time. For example, instead of simply pouring your dog’s food into his bowl, toss a piece of kibble across the room to encourage your dog to chase it. It takes some time, but it is a good opportunity for bonding between you and your pet, as well as a means of burning calories. 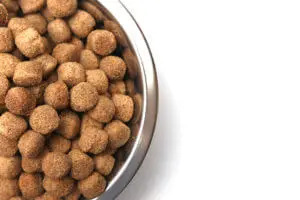 And about those snacks….Although it may seem like you’re feeding your dog a small amount of food, if he’s gaining weight, the calories are still too high. Low-calorie snacks like carrots are fine in moderation, but if you give too many, it can lead to diarrhea. And you’re better off eliminating table scraps altogether. You’ll also want to start weighing your dog each week to monitor his progress. I know it’s hard. You love your dog and want him to be happy. But food isn’t the only way to show your affection. Consider replacing treats with attention or playtime with a favorite toy. Best of luck, Louise. We’re all rooting for you and your sweet pup. Write back and let us know how it goes! Pet 411: Do Pets Grieve When Another Pet Dies?